There’s nothing quite as delicious, comforting or cozy as the smell of fresh-baked cookies straight from the oven. We were at a potluck the other day with some friends. One of the ladies had come with a tin of freshly baked scones. Delicious no? She shared an entertaining story of their trip over. She and her daughter had just finished making the scones – just pulling them out of the oven – when it was time to head over to our get together. Picture that it’s evening, you’re hungry, you have a tin of freshly baked scones in your lap and you’re stuck in this hopeless rush hour Beijing traffic. What do you do? Why you pop open the tin, and take the edge of an otherwise irritating situation with a bite of scone. Freshly baked scones! Who on earth would take issue with freshly baked scones! China, like many other countries, is a place where ones olfactory nerve will be readily assaulted by simply walking down the street. No doubt foreigners in the US often think similarly. 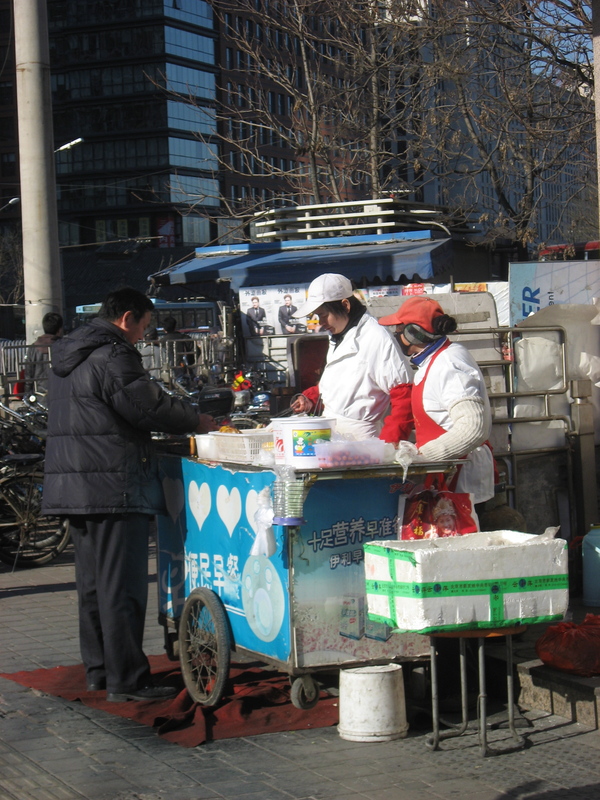 Here many street vendors sell a preserved tofu and if you’re unlucky to walk past you’ll be assaulted by its reeking odor (pictured). People not uncommonly joke that it seems as if a lot of asian cultures eat just about anything. And all of it has a very foreign smell. The idea that someone would eat preserved tofu (and obviously I have no proof that this taxi driver does, but there’s no reason to assume he doesn’t.) but complains about the homey goodness of fresh scones is pretty hilarious. Just one more example of the effect of how culture trains the senses. I’ve never seen any Chinese avoiding the corners with the street vendors selling the stinky tofu – or smelly fish. I’ve also never heard of anyone in the US complaining about the stench of a bakery in the morning. What you might have assumed was universal is … well maybe not so much. Have we just trained ourselves to like the smell of fresh-baked bread?